This LED DC Transformer is equipped with a Photo Eye to automatically power on at dusk and turn off at dawn. 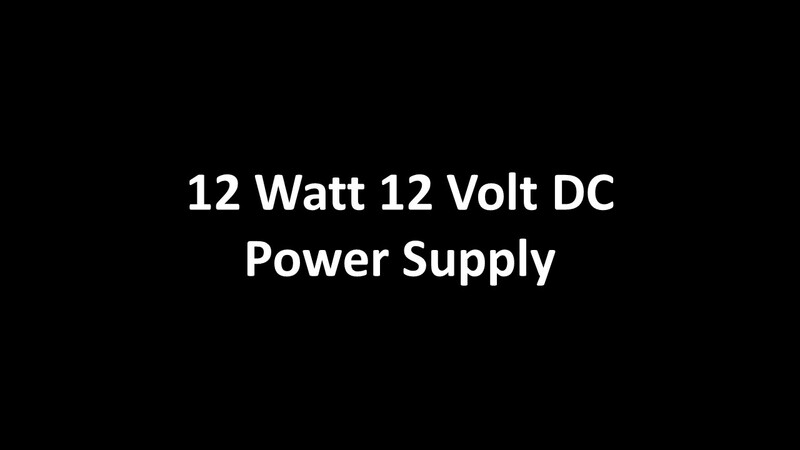 The 12 Watt Transformer powers up to 16 LED deck lights. | The Bluetooth Transformer expands on that with programmable smart phone access. App available for Android and Apple. Each Transformer works with the LMT plug and play wiring - no more guessing which wire connects to which! Choose from several lengths and styles of wiring extensions. The Deck Store Online has partnered with the manufacturer to have these items produced for us. They are made to order and shipped direct from the factory. Depending on the size of the order, extra time may be required to ship these. 12 Watt, 12 Volt DC, 1 AMPs with 9’ wire lead with female connector and a TEE connector. Update your browser to the latest release to view this video. 50 Watt, 12 Volt DC, 4.2 AMPs, Programmable Power Supply with Remote Dimmer & Uniquely Paired Remote Fob, with 4’ wire lead with molded Tee connector. Excellent transformer. Wired deck with (6) led strip lights. Very happy with the results. Turns on at dusk and set to turn off 4 hrs later.